Gibitre Instruments provides maintenance and calibration services for all the instruments produced. The services offered have been studied and is continuously improved in order to meet the highest requirements of the customers referring to the reliability of the measures and calibration documentation. The service is coordinated directly from the Gibitre office for most European countries or is provided by a Gibitre agency through technicians directly trained and qualified by Gibitre. The number of annual maintenance / calibration for each instrument and the timing of execution of the activities are defined according to customer needs. The repair service has been optimized in order to minimize the time to resolve malfunctions, to minimize repair costs and to provide the customer with complete and transparent information regarding timing and costs. - The final cost for the activity is calculated after intervention according to the real time needed for the activity and the spare parts actually replaced. The calibration of the instruments is carried out according to the requirements of the international reference standards. The list of calibration operations that are performed for each type of instrument are specified in the offer of the Calibration Contract and are described in detail below. The procedure for the performace and the reference instruments for the execution of each specific calibration phase are described in the Calibration Report. The standard calibration procedure can be modified to meet specific customer requirements. Specific needs must be agreed when issuing the Calibration Contract. Gibitre Instruments owns all the Reference Instruments directly calibrated by accredited laboratories for each type of size for which it provides calibration services. The company Reference Instruments are stored in Gibitre Metrological room with controlled temperature and humidity conditions. Every technician authorized by Gibitre to perform the calibration has at his disposal a complete set of Reference Instruments and templates that allows to perform all the calibration operations required by the Gibitre procedures. Each instrument used by the technicians is subjected to periodic calibration. The identification label of the instrument identifies it unambiguously and returns the calibration date. For each instrument on the list, the relative Calibration Certificate can be easily downloaded from the Gibitre website. The measurement uncertainty related to each calibration made is calculated considering the uncertanty of the instrument / s used, the dispersion of the results, the resolution of the instrument under calibration. 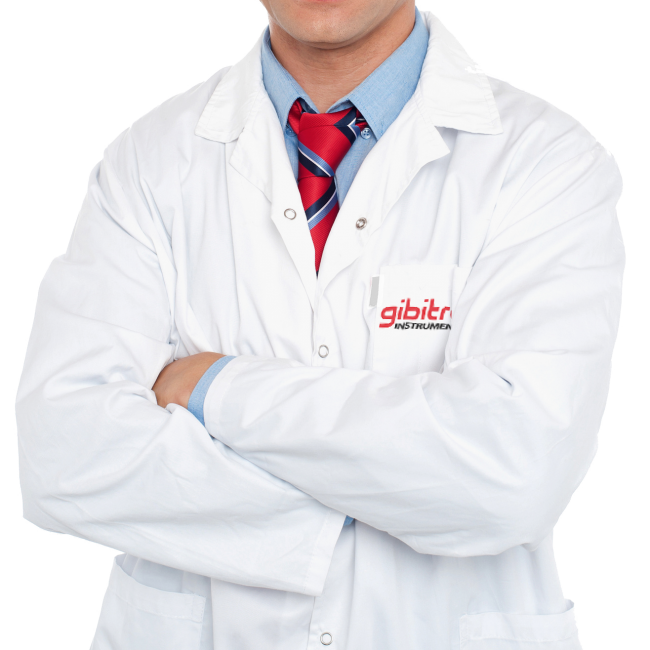 Gibitre Instruments scrupulously follows the training of the technicians who carry out the calibrations through training and coaching activities with expert technicians. 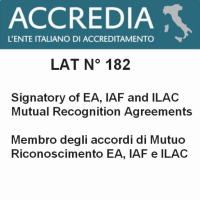 The method used for the assignment of the calibration to the technicians includes the automatic verification of the technician's qualification for the execution of a specific activity. The link in the Calibration Report permits to download from Gibitre web site the Report with the habilitattion of the technician who performed the calibration. Standard Calibration service for Moving Die Rheometer. The calibration is performed with reference to the requirements of ISO 6502 standard. • Ordinary maintenance of the instrument. • Regulation of the gap between the dies. • Calibration of the temperature of the Upper Die at 3 temperatures (177°C, 200°C). • Calibration of the temperature of the Lower Die at 3 temperatures (177°C, 200°C). • Calibration of the torque standard supplied with the instrument. Standard Calibration service for Oscillating Disk Rheometer. The calibration is performed with reference to the requirements of ISO 3417 standard. • Calibration of the temperature of the dies at 3 temperatures (177°C, 190°C). The calibration is performed with reference to the requirements of ISO 289-1 standard. • Replacement of the sealing of the lower die. • Calibration of the temperature of upper and lower dies of instrument (at 100°C and 125°C). The calibration is performed with reference to the requirements of ISO 1431 standard. • Complete cleaning of the Ozone Detector with replacement of the internal filters. • Calibration of the temperature inside the test chamber (40°C). • Calibration of the Ozone Concentration inside the test chamber (at 50 pphm, 100 pphm, 150 pphm, 200 pphm). • Final check of the correct working of the instrument. The calibration is performed with reference to the requirements of ISO 2921 and ISO 812 standards. • Calibration of the temperature of the cooling bath at 3 temperatures (0, -5, -35, -70°C). • Calibration of the displacement of the 6 extensometers for TR Test (at 50, 70, 100 mm run). • Calibration of the distance between the nose of the striker for Brittleness point test and the sample holder. The calibration is performed with reference to the requirements of ISO 6943 Standard. The calibration is performed with reference to the requirements of ISO 132 standard. • Calibration of the oscillation speed. • Calibration of the dimension of the templates.